It's always tempting to write for a certain market, especially if you are under the impression that what you write will be easier to sell and make you Oprah-rich. This is a publishing myth. 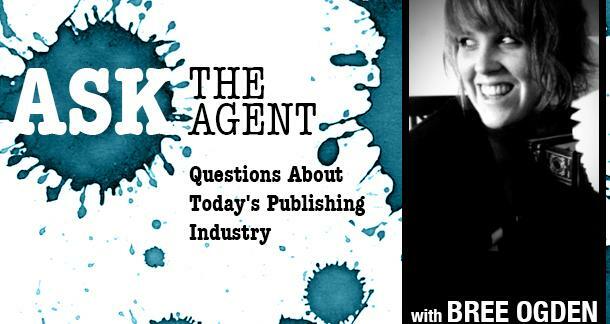 In this week's Ask the Agent, I tackle some of those ideas (after I tackle cookbooks, of course). Do standards change for cookbook publication? I haven't seen many updated books on publishing them. I thought this question was important, however, I do not represent cookbooks… nor do I ever cook. So I brought in a lovely agent friend of mine, Gordon Warnock, of Andrea Hurst & Associates Literary Management. He is a foodie of the best caliber and represents cookbooks. The increasing prominence of celebrity chef culture over the past few decades has made it much more difficult for the average person to break into most areas of commercial cookbook publishing. As with any type of nonfiction, platform is very important, and the bar is forever rising. However, as traditional publishing gets more selective, self-publishing gets easier and more available. If you have trouble breaking into the mainstream market, you now have plenty of alternatives. My head is always swimming with ideas; children's books, screenplays, fictions, historical romance, personal memoirs. Because of this I always have trouble deciding which to finish first. Which one would be most profitable, easy to publish, etc.? There is a common misconception in the publishing industry that certain genres are easier to sell to publishers than others. Every genre, every category, every age group is going to take skill and tenacity to sell—in fact, so much so, that you will need to have a high level of passion for your project to see it through to the end. And therein lies the answer to your question. Never work on a specific writing project because you think it will sell. Write what you love. If the talent is in place, you’ll do fine. If you force-write something, you might be bypassing the talent part. Even if you wanted to write something just because you thought it would be easier to sell, you’d find an inherent problem, and that’s that it’s impossible to know what is easy to sell. Many people calculate the equation incorrectly. They see, for example, a ton of young adult books on the market, so they figure young adult must be easy to sell! Wrong: over-saturation = harder to sell. It’s impossible to know. So I’ll say it again, write what you love. Pro tip: Writing is a passion project. If you make it about the numbers, you will be disappointed. I was wondering how agents/editors feel about new authors who write both young adult (YA) and middle grade (MG). I am querying my YA and revising an upper MG. Since most of my ideas are for YA, several writers have suggested I set aside the MG and work on another YA on the theory that my eventual agent/editor will not want me to shift to MG if the YA sells and vice versa. Both manuscripts are in the same genre. This is truly a non-issue. Not to disparage your writer friends, but ‘children’s books’ include everything from board books to upper young adult. Children’s agents and children’s publishing imprints work the entire scope. If you write both YA and MG, find an agent who represents both, there are plenty of them to choose from. And keep in mind, you are not stuck with one editor for your entire career. Your agent submits your manuscripts to the editors appropriate for your work. Many times, the editor who worked on your first book (or previous books) will want to work on your next book (or at least there is a certain expectation that this will be granted). But that doesn’t mean you have to write to their tastes. If your second book is out of their realm of acquisition, you’ll work with a new editor. See above: Write what you love. If your middle grade manuscript is the project you feel most passionate about at the moment, write it. Your agent will find the appropriate editor for your next young adult project. Pro tip: This is why agents are useful. Let them suss out the details. Have a question about the publishing industry? I would love to discuss the specifics of researching and querying agents, finding the right agent, proper publishing etiquette, how to go from idea to completed manuscript, marketing yourself, social media for writers, and anything else you can think of! I am now taking questions for Issue 8 of Ask the Agent. Issue 8 answers will be posted Monday, October 15th. Bree, you rock. This answered a few questions I had floating around in the back of my mind.